It’s a given at this point that leggings are a crowd favorite for working out. That said, certain styles are better suited for a downward dog than they are a double jab, cross. 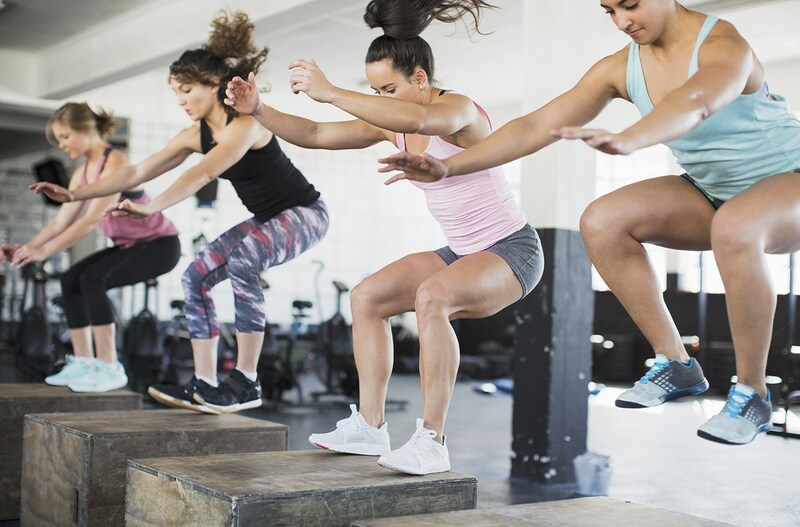 And with more fitness routines in the mix—plus a seemingly endless list of activewear brands to choose from—narrowing in on the right pair of bottoms for every workout can be harder than you’d think. But if there’s anyone who knows the ins and outs of leggings, shorts, and sweats, it’s fitness instructors. 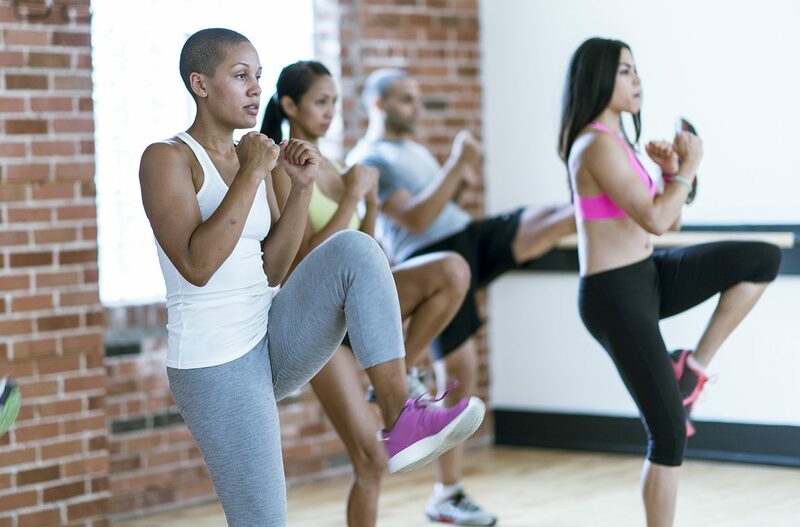 As workout buffs who spend more time in Spandex than anything else, they’re experts at determining the best pants for every kind of sweat sesh from barre class to spin and boxing. So, to guide your next workout pant purchase, four fitness trainer’s share their top picks below (including a unanimous favorite they’ve deemed worthy for the yoga mat, boxing ring, and beyond). Yoga, barre, and dance instructor Sam Garcia (catch her at Y7, Equinox, and Yoga at the Raven in Los Angeles), says full-length, moisture-wicking leggings are her number one for low-impact workouts like yoga, Pilates, and barre, specifically Lululemon’s Wunder Under High-Rise Tights. “They’re my favorite pant of all time and made with four-way stretch fabric so you can execute all your shapes with ease,” she says, noting how the breathable fabric is perfect for the hot yoga classes. In the color department, she predicts rich earthy tones like burnt red, olive greens, and bold blue will be big for 2019 (despite her affinity for classic black leggings, like myself). Megan Roup, founder of the dance cardio and sculpt workout The Sculpt Society and trainer at Obé Fitness, PROJECT by Equinox, and Bandier’s Studio B (who counts ultra-fit models like Taylor Hill, Elsa Hosk, Candice Swanepoel, Lais Ribeiro, and Devon Windsor as fans) says high-waisted compression tights are her go-to leggings for dance cardio and sculpting workouts. “These hold you in and don’t move around—you don’t want to be fumbling with your leggings during a workout,” the former professional dancer says. She lists Victoria Sports’ Total Knockout Tight and Ultracor’s Sprinter High Knockout Capri as two of her favorites, as well as All Access’ Center Stage Leggings which also ranks high for Garcia thanks to the seamless design. “The 50-50 stretch fabric made out of nylon and lycra is durable and creates a sleek, minimal look,” says Garcia. Because precision is key for these types of workouts, Roup and Tiffani Robbins, the director of Fithouse’s sculpt program and a HITT and strength trainer for Obé, both advise against baggy or uncomfortable bottoms that get can in the way and limit your range of motion. “If it doesn’t move with you or is too tight and uncomfortable, you shouldn’t work out in it,” says Robbins. Moisture-wicking fabrics are essential for high-impact workouts where you break a major sweat, but according to the experts, silhouettes that stay put during intense movements are just as crucial. Robbins prefers high-waist leggings that feel supportive without restricting movement. “You want something that doesn’t fall down—no one wants to have to hike up their pants mid-burpee,” she says. “A sweat-wicking fabric is also a must and extra bonus points for a good, solid color legging that’s flattering on the leg.” Her favorites include Lululemon’s Wunder Under High-Rise 7/8 Tight, Montiel’s High-Waisted Legging, and Alo Yoga’s High-Waist Airlift Legging. If you’re anti-legging or like more breathing room on the bottom, Garcia says the biker short trend is sticking around for 2019. “I find they’re most comfortable for spinning, running, HIIT, and dance cardio,” she says, recommending Alala for style-driven designs and Nike’s Intertwist Shorts for the best in performance. “They’re secure, light, and easy to move in, and they don’t ride up your leg,” she says. And in case you were wondering, learning how to style sweatpants without looking sloppy is easier than it sounds.